It’s been another workshop day. To help me get into the right place to work breathing peacefully is part of my routine. I love the way focusing on my breath can bring me calmness. I’ve had asthma for most of my life. When I first started to experience that tightness of breath and lack of air I panicked. It took me a while to learn that the way I gasped for breath only made things worse. As did the panic. But it was understandable. Breathing is something we rarely focus on. Until the times when we can’t breath properly. So I had to learn to deal with the asthma attacks. Mainly by learning how to relax and breath through those awful sensations. I used to remind myself that I could breath. I counted my breath in and and. It was important to me that I faced my fear and overcame this debilitating condition as much as possible. Eventually my breathing techniques became second nature. If I started to wheeze my breath would automatically change. I instinctively responded to the challenge of the attack. Nowadays I don’t even think about breathing. I feel that is progress. But those experiences taught me a lot about using my mind to bring me a sense of calm. And later also a sense of peace. I became easy with the fact the I have asthma. I have worked with energy healing to release a lot of the past life deaths that are connected to the weakness I have in my chest. But enough remains for me to keep clearing the stuck energy every time an attack happens. The idea of learning to breath in the energy of peace came up again today. In the workshop exercises I asked the participants to focus on their breathing. Doing this helps to induce a meditative state. It also allows the mind to focus on the intention to be peaceful. Because I know that many of us have stuck energy in and around our lungs. The old saying ‘get it off your chest’ meaning to speak about something is very true. When I don’t speak about things that are affecting me the feelings get stored in my chest area. They can become heavy enough to restrict my breathing. Or my ability to speak out at all. Spending a few minutes feeling myself take each breath in and then let it out can start a clearing process. And that clearing process can lift my spirits. Take my hand, I’ll help you up. 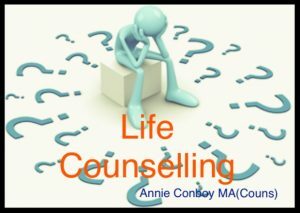 When I explain life counselling that’s the phrase I use to describe what I do. For a very good reason. When I first started my counselling training I knew I wanted to give a hand to help others. So I worked hard to process my own mental and emotional ‘stuff’. I also read as much as I could about counselling theories. Why would talking to a stranger work? What was the magic ingredient I needed to offer so that people got well again. As I studied more and more it seemed that there were lots of ingredients involved. What could help was different with each person. Something of an obvious point I guess. But one that it took me a long time to discover because I was swept up in all the theories about what makes us tick. Eventually I had the study under my belt and was working as a person-centred counsellor. Keen to do as much as possible for my clients I took on more studying. And then more. I ended up with a Masters Degree in Counselling. But was I any closer to the magic answer? Could I help my clients regain mental and emotional balance? It seemed the more I learned the less I knew. I was spending most of my time working with people that I wasn’t sure I was helping. They didn’t seem to manage to make any inmprovements to their lives. And I was getting exhausted by my work. It began to seem pointless. It was then that I noticed something. When I offered help some people took it and reshape their lives. But others didn’t. I wondered why. I feel we are all so used to being the giver, the helping hand, that we never question what we are doing. Or if it works. However I was starting to work with my clients in a different way. I seemed to know what they were hiding from me in my sessions. And I seemed to ask the questions that finally brought the information to light. Sometimes they didn’t even know what they had been hiding from themselves. This intuitive insight meant that I could offer what was needed in a much more specific way. I could be to the point in achieving the release of stuck feelings and thoughts. It was quite a revelation for me. Because I also found that some people resisted the help of a hand up. They actually wanted a hand out. Their need was for someone to ‘own’ their issues so they didn’t have to. When I was offering my help in the form of supporting them to work through issues for themselves they tended to move on. I was fascinated by that. Pretty soon I could work out very early on who wanted a hand up and who didn’t. I started to focus my work towards those who were really ready to make the inner changes necessary for an improved life. Whilst willing to support in a more limited way those who wanted me to be responsible for their lives. Because eventually everyone who is stuck tends to want to move on. I love life counselling. It can help with any issue by getting behind what’s on the surface. Allowing me to be the helping hand when the client is really ready to step up. Drifting? Or a New Course? 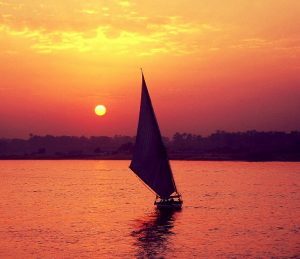 Sometimes I feel like I’m drifting along. Today has been like that. I got to the Centre early and emerged eleven hours later wondering where my day had gone. As I walked home I tried to remember what I’d done today. It all seemed a bit of a blur. Mentoring, Reiki, meditation, sorting and getting rid of stuff. Pleasant conversations. Sorting out workbooks for the workshops this weekend. Organising my art supplies. In some ways lots of little things. But the thread through all of this was doing the next job in front of me. Until all the changes that are happening have settled down again. I did wonder if I was drifting along becuase it was easier than pushing myself towards a goal. Then I thought again. I have had lots of times in my life when I felt I was drifting. Even that my life was aimless. At those times I often felt a pressure to control the drifting. To start to row as hard as I could against the tide. Not prepared to wait for a favourable wind to help me. I put that pressure on myself. Partly because I believed that every action had to have a purpose. I had to achieve something. Also because floating along wherever I was being taken felt like it was wrong in some way. The pressure from the outside, from other people’s expectations of me, was as bad as my own inner judgements. Yet still I stayed becalmed. Floating along. Apparently going nowhere. It has only been with some observation and experience that I’ve recognised the point of drifting. It’s the opportunity to set a new course and be ready when the tide turns. As a communicator I struggle when Mercury goes retrograde. It’s hard to get my ideas out into words that make sense. Even to me. Describing the changes I’m making in any sensible or logical way is a challenge. Inside I know that I’m heading somewhere. Putting the where into words for the outside world is why I feel I’m becalmed. The reality is that inside I don’t really know where I’m headed either. It’s a conversation I’m having with myself and it isn’t finished yet. I’m still checking the currents, reading the tide, and waiting for the wind to blow strongly enough to propel me forward. I’ve looked at the map, such as it is, and found it’s a bit sketchy. So I need to wait out this drifting phase knowing that as soon as I can act I will. I’m prepared for a new course. I’ve checked that all my skills are up to the mark. My mind and feelings are clear. I know there will be a star to steer by. And all the help I need. As soon as the new course is plotted I can be off. Until then I am going to enjoy the tasks I’m doing. After all they seem to be keeping me busy. If the time passes so quickly that I don’t even notice I’m going to embrace a full day and go home ready to rest before the next one. Rest is good. After all, the tide might turn tomorrow. The wind might be blowing in the new direction. And I might be off on my new course to wherever. Today’s topic seems to be recognising past life wisdom. It’s come up in several discussions. It even popped up in my Letter From The Light Side this evening. 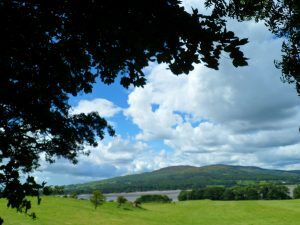 I’ve been working with past lives for forty years so it’s one of my favourite topics to talk about. Whether I’m figuring out my own lives, doing past life readings or teaching how to access them the subject still fascinates me. Because I believe our past life patterns present us with the wisdom of those experiences. As well as creating the blocks in this life. It’s not necessarily about good or bad karma. It’s about how many of my previous life threads need to recognising now. What vows, consequences and lessons are still running in this life? Often it’s about the threads that twine together to make a chord. How I have anchored this life in the energy of my past lives. And what I can do to cut that chord. Balance the energy I have created. Deal with the consequences. But recognising the patterns can be a bit of a challenge. Because the threads often act as limiting factors in my life it can be hard to see the pattern. After all, the first step is to understand that I am limiting myself at all. Perhaps I’m not quite as confident of my skills as I could be. Or I feel that my purpose is only about helping others. Even that the law of attraction doesn’t seem to work for me. All of these things can be the effect of past life choices. Making an effort to recognise patterns and habits is a good first step. I have to ask myself what keeps repeating in my life. Is it that I always seem to pick the same type of partner? Do I always get scared when someone says it’s my turn to lead the team? Am I living in a place that doesn’t seem to fit me? Or have an occupation that I’m not at all passionate about? Most of these things can be viewed as the normal things that happen in my lifetime. Yet perhaps the same sort of issues about these things keep cropping up. No matter how much I’m trying to change my patterns. It’s at that point that I reach for my past lives eyes. Can I see the events of my current life as if it was a story of another life? Recognising that there might be another sub plot going on underneath the surface of the way I live is helpful. I can let myself imagine what that other life might be. What could have happened to make me live my life in certain ways? Did I take vows of poverty in some religious order? Or on more than one occasion? Do I have a belief in this life that I shouldn’t have too much? In this way I might be able to see that my other life vows are preventing me from accepting the abundance that is all around me. I might never be comfortably off until I release myself from that promise. Then I might see the threads of this life that began in a little terraced house with parents struggling to make ends meet. Recognising what has also happened to me in this life I can start to see another pattern. That I shaped my choices about this life so I could use my past life wisdom. Every life teaches me something. All lives are about evolution of my Spirit. Growing in my understanding of Unconditional love, forgiveness, gratitude and service. Struggles in past lives need not be struggles in this life. If I recognise the threads of karmic energy I also start to be aware that I’ve met these experiences before. Perhaps I didn’t make the best choices then and that’s why the situations have come in with me again. But I can consider those past life stories and my limitations. I can help myself to understand that to get abundance I have to be open to receive it. If I make a vow not to then quite plainly I won’t. So instead of saying I never have enough I can choose to say I am open to receive everything I require. A different choice brings a different outcome. When recognising that I also need to trust in a different outcome. So many times I have released vows but forgotten to trust that it can be different. My choice gets cancelled out because I don’t believe it will happen for me anyway. That’s why I love the puzzle of past lives. Wisdom is only effective when I choose to use it fully and trust myself to know what is best. Not easy to do if a karmic thread is throwing up doubt for my abilities. Or the life I have led has made it hard to let the Universe take control. Yet I still want to embrace the wisdom of my past lives. No matter what consequences I have to balance out my life can only get better. Sometimes it’s good to do some blue sky thinking. Spending a little time daydreaming about what next. I’ve been talking a bit today about the process of change. How I feel that restless urge somewhere inside of me as if life has somehow gone flat. When it seems my passion for everything I normally do has drained away. The moments when I don’t know who I am or what I want. These are all my signals that it’s time to drift into the wide blue yonder. To let myself dream about how my life might be in a few months or years. Even to try out several lives to see if I can find the one that makes me feel energised again. Giving my life a make over with the wave of a magic wand. One of the things that comes with the energy to change is also feeling a bit blue. Down in the dumps my Mum used to say. No linger fitting the life I have but not really clear what life I want. Letting myself drift in my imagination so that I’m seeing my life with me being happy and positive. Checking out what activities I’d be doing. Who I would be with. Where I would be living. A delicious fantasy vision of a new me to get my ideas flowing. This is not just a pleasant form of escapisme. It’s me giving the inner me a chance to speak about my desires. The part of me I ignore when I’m doing the same old same old. Out in the blue sky I can place myself anywhere. But it also helps me to notice what requires changing. I’ve often found that it’s easier to admit what I have to do to change things when I have spent a little time imagining a new path. I’m really good at hanging on to old habits that are definitely past their best. I don’t like to let go. Or like change itself much. Yet when I picture myself in another life I can see really clearly, without excuse, what doesn’t fit in my present life. If I’m being honest with myself I can tackle what those changes are. But I also have to be aware of my Ego mind. It will try to spoil the dream. Usually by telling me that it’s impossible to achieve. Or that it’s much safer to stay muddled and miserable. So back to the blue sky. To combat the fear of change I dream up all sorts of scenarios that put me in a happy and positive place. Using the ideas from these dreams I pick one thing I can do differently. Then I make that change. Often a little one. A step in the right direction. Because lots of little steps add up to big changes over time. A long time ago I dreamed of working for myself at things I was good at. I also imagined that these things would be exciting to do every day. I went off and enrolled on a counselling course becuase those dreams showed me the job I was in was killing me. It took a few years but I qualified and started my own business. It was big leap in the dark but I knew the blue sky was waiting for me. I have been in that wide blue yonder for many years now. And I love it. Is it time for you to daydream too? Today is the ending of my latest Inspired 2 Write challenge on Facebook. The group has been a great place for women to find their writing voice. It’s also been a place for me to do more writing. Because we were ending I asked everyone to write about their successes. That’s something I’ve found hard to do in the past. Often due to judging myself and feeling like I hadn’t done well enough. I feel it’s a lot harder for women to be comfortable with claiming success. Not just because success is often framed as winning a competition. But often because women prefer to collaborate. So success is shared. Or attributed more easily to others. There is also an inference that women have to be modest too. No blowing of our own trumpets. It’s an old hangover of social,conditioning. But it can be very hard to change. I have to say it’s taken me a while to be able to write or talk about my successes comfortably. Do I claim too much? Are others thinking I’m a big head? Will they think I’m boasting? Yet why should I be judgemental of my achievements? Ending another writing challenge, having written every day for 28 days in addition to my daily blog, is a great success. It’s my personal success. It’s also true that other participants enjoyed the challenge and felt the group was what they needed. Another success for me in running the group. But also a shared success for everyone who contributed. That’s what I like. Finishing a challenge can be a personal and a collaborative success. Completing a challenge ending up with collaboration and support is fantastic. Because a challenge can easily descend into a competition. 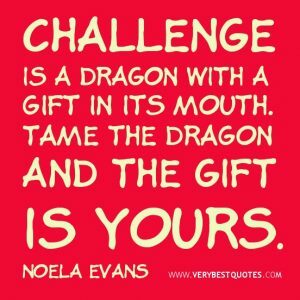 I have been challenging myself all my life because I feel that challenges are important. It’s what gets me up and moving every day. Challenges have pushed me a long way outside my comfort zone. For that reason alone they are a great success. But they have provided so much more in my life. I have stamina developed with testing myself or being tested. My curiosity to see just what I can do is due to trials I’ve attempted. I’m not afraid to try something new. When faced with a problem I will keep on generating solutions because I’m used to working my way through challenges. And I can motivate myself even when my energy is flat as I want to complete the tasks I’ve set myself. Alongside this I’ve learned not to compete for success. I enjoy the feeling that a true collaboration brings. Sharing the success means all of us have achieved. Being the only one getting the praise can be a lonely place. Because solo success is never really that. Everyone contributes to the successes of everyone. 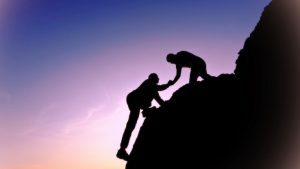 We offer encouragement, praise, suggestions and practical help to those who are tackling a challenge. And we love to do so. Then hopefully the same is returned when we are working at a challenge. I wish all of the people who joined Inspired 2 Write more successes. I hope that they have found enough curiosity and stamina to kept testing their writing voices. Most of all, with this ending it means I can look forward to a new beginning. Time to think about Inspired 2 Write challenge 4! It’s very easy to say what’s the point. To see what is happening in the world and believe that there is no point to living a good life. Or any kind of meaningful life. In conversations over the weekend I’ve been conscious of that urge we all have. There has got to be a point. Whatever we do has to have a meaning. I’ve written about this before. The human need for a purpose. Then when life swamps us it can be all to easy to loose the plot, point or purpose. And sink into despair. Looking outward at the world I might find it easy to say that all the good works people do are outweighed by all the bad things people do. Why do people of strong beliefs keep trying to make a difference? Why do I feel like I want to help and support? That’s the point really. I believe we all want to make a difference in others lives. But I also believe that the first place we have to look is inward. How can I be peaceful to others if I’m not at peace in myself? How will I work as part of a community if I don’t recognise and embrace all the different parts of my inner community? All the different ‘me’s’ who want my attention. Even the shadow parts. Because they are there. That darker side is a part of each of us. Yet we often try to ignore it. A community embraces all opinions and feelings. 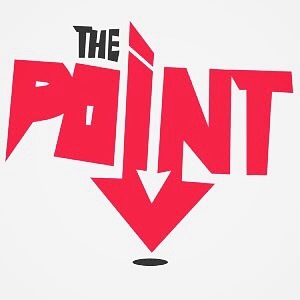 A peaceful community knows that the point is live and let live. I can agree to differ with myself or my community when I find that centre of peaceful energy. Isn’t the point that if I can create peace in the centre of my being then I can share that out to the wider world. Taking the energy of peace and using it to deal with external relationships in just the same way as I have balanced my internal reality? That means I can get past the need for a point. It’s quite a thought. A challenge really. Does my life have to have a meaning? Isn’t it much more important to me to live an authentic life? Then I can respond to the changes of circumstances that wash over me by staying calm, fearless, secure in myself. I find that being calm, really feeling calm, removes any need for a point. That a purpose becomes a mechanism to judge myself by. A reason to be harsh or aggressive with myself when I feel that I’m not doing what I think I’m here to do. If I am unsettled inwardly I take that energy out into the world and it becomes a harsh aggressive place. For quite a long time I have been learning to forget the point of life. Bringing myself into the moment. Doing what I feel it’s right to do at any given time. Because I find this a calm way to move through my day. Along with many others I was tired of the pressure to achieve. Beginning to use what’s the point as my daily mantra. A path I decided I didnt want to go down any longer. Manifesting calmness has taken a while. I have had to tackle a host of shadow concerns as well as the Ego mind. I still trip up from time to time. But much less often than I once did. This weekend showed me I have passed the tipping point. In a meaningful way my life has become pointless. And full of infinite possibilities for good. Erin liked to play. Every day she ran outside to be in the fresh air, climb trees and find puddles to splash in. Erin smiled at the sunshine. She smiled at the rain. She chased the wind whichever way it blew. She rolled in the leaves that fell from the trees. Danced in the snow as it reached her knees. Counted the daffodils as they bobbed their heads. And sang with the bees who flew round the flowers. Scratching in the mud she built stone castles. Gathering sticks she made fairy doors. Quietly she watched as the animals moved. She loved her place and all it’s life. One day a brittle wind blew. People were sad and angry too. The world was suffering a major change. But no-one seemed to want to explain. Why had the bees decided to die? Where were the flowers usually so high? The animals seemed to have stolen away. The trees were weary so Erin was sad. All the wonder seemed to be turning bad. One bleak and frost afternoon Erin noticed the rising moon. She seemed to have tears in her eyes. Erin wondered if the planet was going to die. Off to one side she saw a flash. Deep green and the green of grass. She looked across and there she stood. A tiny fairy seemingly made of wood. Who are you Erin asked. The fairy seemed to pause in a task. Though tiny she was certainly strong. She held a garden fork with enormous prongs. I’m Gladys Giddy the fairy said. Just pretend I’m all in your head. I can’t said Erin, that would be a lie. And they’re not good I know for sure. My mum would tell me off , she’s a bit of a doer. Do the right thing she always says. Truth will out no matter what. So I’d rather not cross her. It could get hot. Gladys came closer. I’ll tell you true, the planet is suffering for the likes of you. What do you mean Erin asked. I love my planet, I really do. People don’t care said Gladys, nearly in tears. It’s been one of our biggest fears. 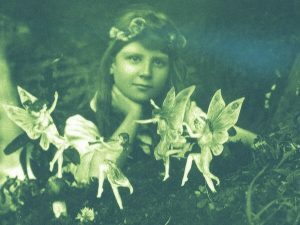 You stopped believing in fairy lore. You banished us from your shore. You took what you wanted. Again and again. Now the planet has acid rain. We’ve done our best to try and warn. But you would rather pretend we’ve never been born. Not me cried Erin. It wasn’t me. I didn’t ask for eye tee. For machines and products all in a row. Not for me. No, no, no. I want the trees, the flowers and grass. I want the bees and birds and ponds and frogs. I want the branches and the logs. How can I help to make it better. Does the Prime Minister need a letter? Gladys smiled. I’m glad to hear it. I saw you every day enjoying all that Mother Nature has to offer. Remind the grown ups, if you can, that one way or another the planet will outgrow man. Tell your children when they are small that not all fairies want man to fall. We can work together to save the planet. With love and care and kinder times all living things get better lives. Don’t forget me Gladys said, when you get your grown up head. See me in the heart of every flower. Show your grandchildren the fairy bower. Remain true because your planet needs you. In twinkle and sparkle Gladys was gone. Erin ran home to tell her mum. And every year even though now grown Erin plants wildflower seeds to honour the fairies and serve Earth’s needs. 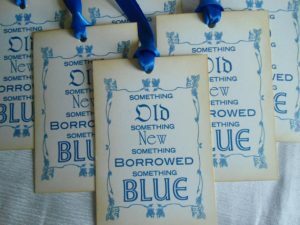 It’s been a something old, something new, something borrowed and something blue day. Usually that means wedding vows and today today has certainly been about the right promises. The old saying is about what a bride wears or carries to her wedding. It’s to reminding her of the new life she is entering and how she can be happy. Something old is about the foundations she has built already. Something new is about the hope for a good future. Borrowing something is about the support from others to help through the tough times. And something blue is about fidelity and purity. 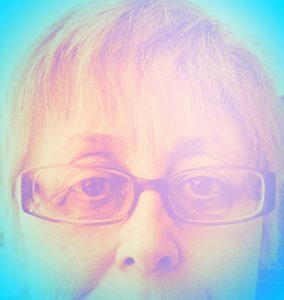 I often get blue orbs when I’m working with Energy Beings. They always seem to come in when wisdom is required. And a marriage or joining together requires a lot of wisdom to make a relationship work. I also use this traditional British saying when I’m setting off on a new venture. I remind myself about what I’ve already achieved. And that I will be leaving some of the old stuff behind me because it’s got me to where I need to be now. Of course the new venture is what is drawing me forward. I’m ready to grow some more, expand my horizons, learn some new skills. To make it a success I will have to get the support of others. Perhaps borrow their time, energy or enthusiasm to help me do what I need to. Finally, I will need wisdom. I will have to remember that everything new has it’s ups and downs. That the secret to my success is to keep loving myself enough to let it all happen. And encourage myself that it will all turn out as it should anyway. As I was talking to people today I found myself listening to so many ‘old, new, borrowed, blue’ statements. A great deal of change is happening. It will all sort itself out exactly as it should if we let it. That’s what I promised myself today. I am making changes in my work. It’s time to try new things and find fresh energy. But I’m not forgetting the foundations of what I’ve already got in place. So I’m moving some of my other work into the Centre, changing what I teach and offering some services that are brand new. To do this I have borrowed the help of some amazing people. Whether it’s an encouraging word of support to me or the practical help of moving furniture and paperwork about I’ve been saying yes. I had to laugh this afternoon when I finally realised I’d moved my office into a blue room. No wonder the energy felt so good. And my brain was on fire with fresh ideas. I’m making a commitment to my spiritual business. I am also making a commitment to myself. Showing myself that I believe in me. Placing my trust in the Guides who support me through change. Making a vow once more. To do my best to the best of my ability. Pushing the boundaries of what I do so that I can be of service in the best way I can. It’s no surprise that in the conversations today that was exactly what others were promising too. House moves, business launches, innovative products, fresh starts. All happening for wonderful reasons. Underneath shone the love of adventure and of life in each person. Along with the determination to love themselves enough to take on fresh challenges so they could grow. What a powerful reminder of how much love matters. Exactly like in a marriage or partnership!